Manjit Singh won the gold medal in the men's 800 metres event while Jinson Johnson clinched the silver medal in men's 800 metres on Tuesday. Manjit Singh won the gold in the men's 800 metres event while Jinson Johnson clinched the silver medal in men's 800 metres on Tuesday. With these two medals, India's medal tally now stands at 49 with 9 gold, 18 silver and 22 bronze. Manjit Singh finished the race in 1:46.15 minutes while second-placed Jinson Johnson clocked 1:46.35 minutes. Qatar's Abdalla Abubaker came third with a time of 1:46.38 minutes. Manjit was trailing early on but he sprinted real fast in the final stages to win the race. Johnson also kept pace throughout the race and eventually finished second. 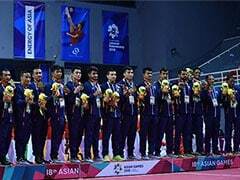 India also added to their medal tally after bagging two medals in Kurash, a form of wrestling indigenous to central Asia, with Pincky Balhara and Malaprabha Yallappa Jadhav winning silver and bronze respectively in the women's 52kg category. 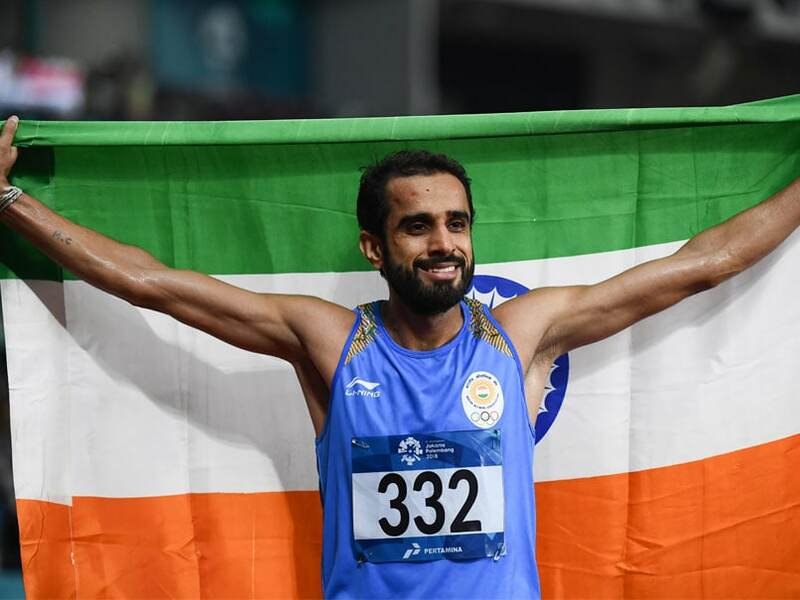 Never considered a medal contender, Manjit surprised one and all by pipping more fancied Johnson to clinch the gold with a timing of 1:46.15s, which was .20s faster than the Asian Championship medallist from Kerala, who bagged the silver. India's last gold in men's 800m was won by Charles Borromeo in 1982 Asian Games. It was India's only second one-two finish in 800m at the Games since Ranjit Singh and Kulwant Singh achieved the feat at the inaugural edition held in New Delhi in 1951. Coached by India Army's Amreesh Kumar, Manjit bettered his personal best mark of 1:46.24s set in Guwahati this year at the Nationals to claim his maiden major international medal. While others did not give him a chance, Manjit said he was determined to do prove his worth. "I saw videos of my races at national and international competitions and analysed the mistakes. I was motivated to improve myself," Manjit, who lives in Jind, said. It is not first time that Manjit beat Johnson as he had defeated the Kerala athlete in Pune also in 2013. "I was very hopeful. I had prepared accordingly. I never thought of bettering the national mark. I just wanted to give my best. I don't have a job but my coach is from the Army," Manjit said. Manjit said he trained in Ooty for the last one-and-a-half years apart from Bhutan for three months ahead of the Asian Games. "I had prepared well. I had strategised to follow runners initially and then push towards last 100-150m. I did it and won gold for my country," an elated Manjit said. A lot of middle-eastern countries have imported physically strong African athletes to power their athletics squad but Manjit said he was confident to outshine them. 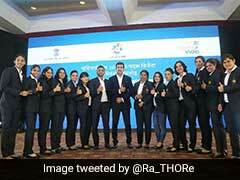 "Indian athletes are doing well. Tejinderpal Singh Toor and Neeraj Chopra had won gold and that also motivated me. 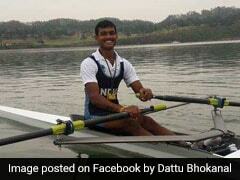 Even those who won silver, they have won with the national record," he said. "I have seen Neeraj growing up in the last 1-2 years. Such performances inspire you." Jonhson said Manjit was outstanding and deserved to win. "He really ran well that's why he finished first. he was outstanding," the silver medallist said.